PayPal employees only. A PayPal e-mail address is required for registration. Current students only. An .EDU e-mail address is required. NoCOUG is “the little user group that could!” As you might imagine, it requires a vast amount of work to organize a full-day users group conference and publish a printed journal every quarter. No sooner has a conference ended and a journal mailed than it is time to start work on the next conference and the next journal. But the awesome NoCOUG volunteers have pulled it off—quarter after quarter—for 30 long years. 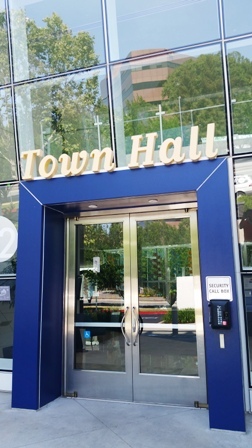 The upcoming NoCOUG conference on Thursday, November 17 at PayPal Town Hall in San Jose will be its 120th quarterly conference! The theme is “A Bright and Cloudy Future for All Your Databases.” The advantages of the cloud are inescapable so buckle up and ride the wave. Thinking about moving your on-premise workloads to the public cloud? What are your choices? What things should you consider when making this decision? What are the pros and cons of this approach? What are your security guys going to say? Learn what we have seen over the last few years moving large and small customers to the public cloud.